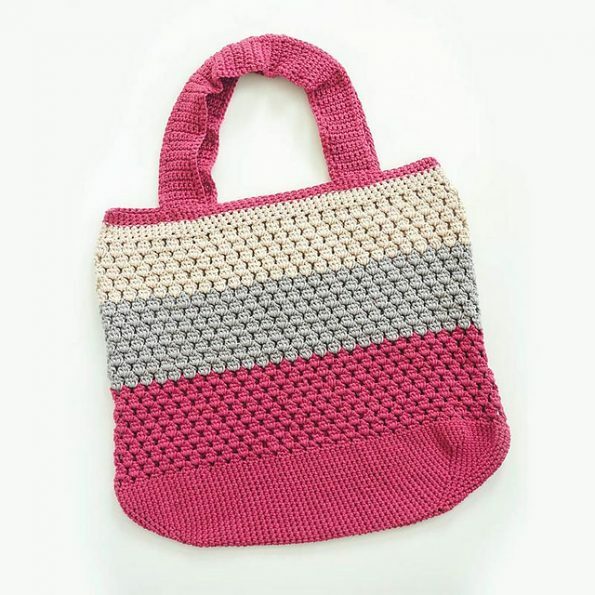 This beautiful and colourful bag is made of French stitch. It is a beautiful and impressive stitch. This bag has an incredible character. It is worth having this pattern in your wardrobe. The bag is perfect for any occasion. It is comfortable and practical. You can fit a lot of things you need. It is ideal for the supermarket and the beach. The shades of the bag can be changed as you like. This is a free pattern for everyone. To work with, choose a yarn Berroco Pima 100. Good luck! 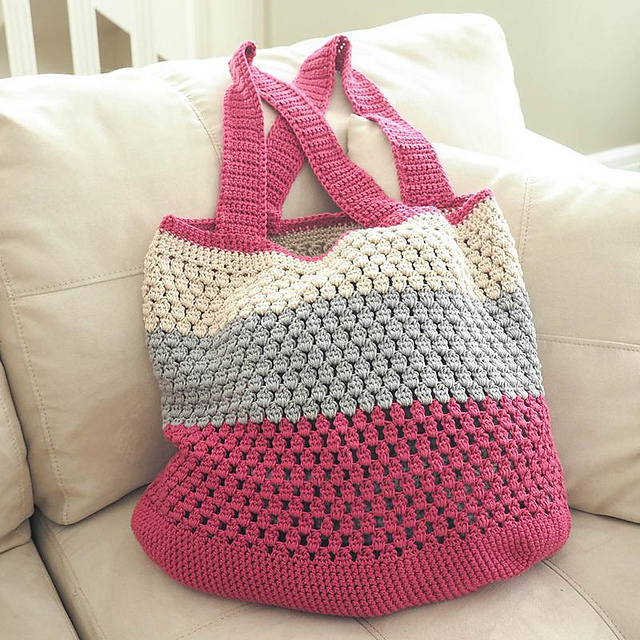 Puff Stitch Market Bag Free Crochet Pattern is here.